The Duck Dynasty family and joined up with the Kershaw family for a great knife called the Bisland 7422DCX. 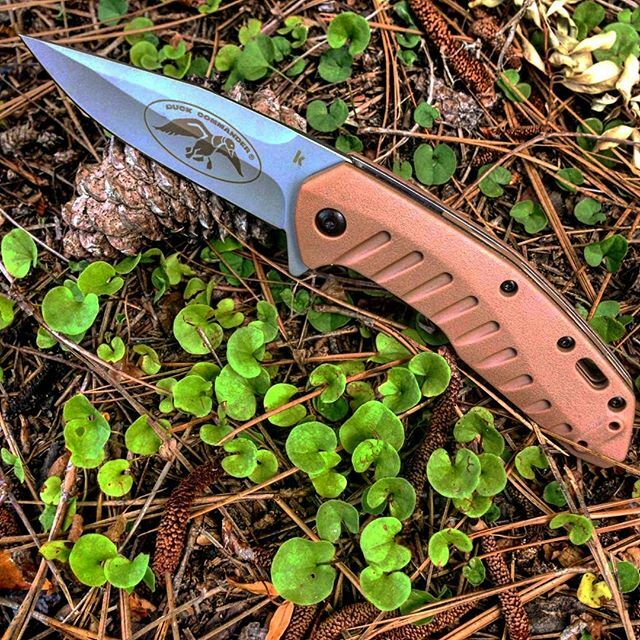 This knife has a brown handle and a brown Duck Commander logo engraved on the handle. This is a large size knife is 4.25 inches when closed and has a glass-filled nylon on the handle to ensure a better grip. The bead-blasted steel blade is 3.25 inches long. A picture of the Robertson Family is on the backside of this clam package and one of the family members will be pictured on the fron. 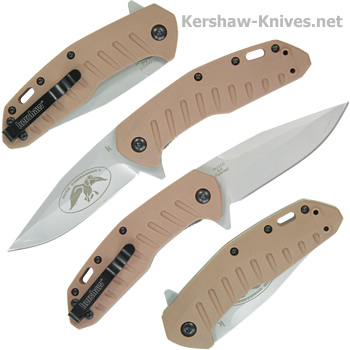 Get to know both families a little better and become an owner of the Kershaw Bisland 7422DCX.